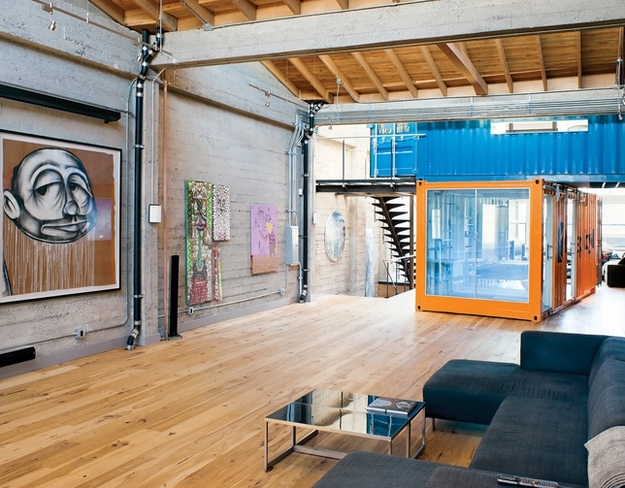 San Franciscan couple, Claudia Span and Jeff Wardell have gone not just inside the box, but indeed on top and all around the the box—transforming a 3,200 square foot former factory into a smartly designed home—highly embellished with large containers. 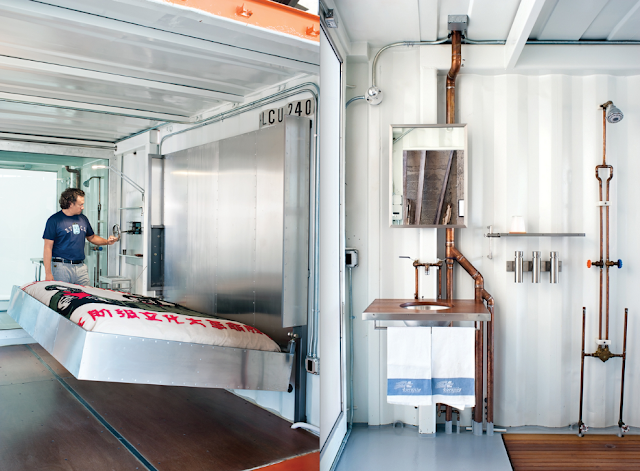 The space has a railroad semblance; hence, their idea was to accentuate the shape in a fun and creative way by employing the large scale containers to serve as additional rooms. 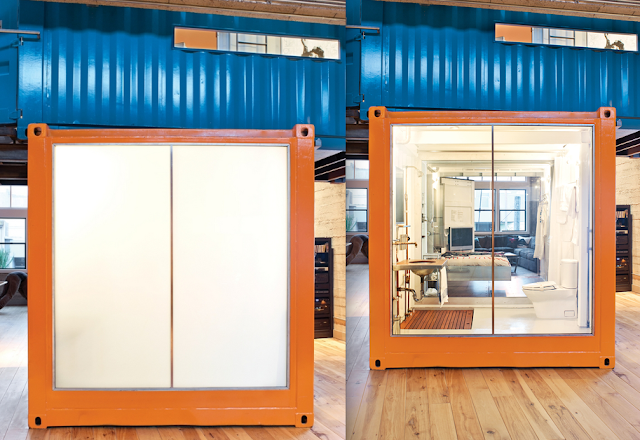 The two had the idea of infusing the containers into the house to create an interesting and edgy atmosphere within the loft: re-purposing the once transportable cargo crates into a pop-up guest-bedroom, bathrooms, and even an office. Have a watch at the video (featured top right via Dwell) to get a better sense of this idiosyncratic space, as well as some photos. (featured below).